Commissioner of Health Dr. Allen Beals has initiated a lawsuit in State Supreme Court alleging that Putnam Valley Supervisor Robert Tendy used his position in an “attempt to harass and intimidate” the county’s chief health official by increasing the… Please login below or purchase a subscription to the Putnam County Courier to access this content. Chalk one up for District Attorney Adam Levy. Putnam County Conservatives Tuesday endorsed the Southeast resident for reelection following a unanimous vote of the Conservative Committee. Levy, who told the Courier that he will be announcing his cand… Please login below or purchase a subscription to the Putnam County Courier to access this content. Commissioner of Finance William Carlin is hoping that a $1 million decline in sales tax revenue for the month of March is an “isolated incident and not the beginning of a new trend.” “Our antennae are up,” Carlin told members… Please login below or purchase a subscription to the Putnam County Courier to access this content. Elected officials pass through a flag processional at the Putnam Park. 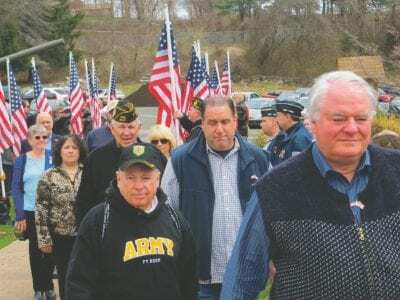 Scores of veterans and their families gathered at the Putnam Veterans Memorial Park in Kent Sunday to celebrate Loyalty Day—a day set aside to remember all veterans—those currentl… Please login below or purchase a subscription to the Putnam County Courier to access this content. Putnam’s 10th annual Children’s Expo and Public Safety Day takes place Saturday in Carmel. 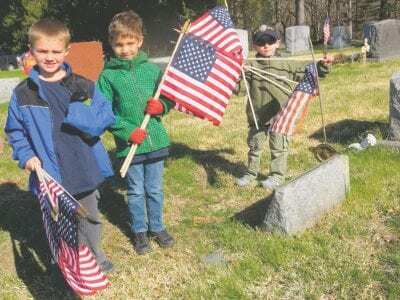 The event, co-sponsored by the Putnam Bureau of Emergency Services and the Child Advocacy Center, will again being held in memory of Barbara Gross, an educato… Please login below or purchase a subscription to the Putnam County Courier to access this content. Putnam taxpayers are saving more than one million dollars thanks to the financial expertise of county government. Last week the county closed on bond refinancing by taking advantage of Putnam’s strong Aa2 bond rating from Moody’s Investm… Please login below or purchase a subscription to the Putnam County Courier to access this content.